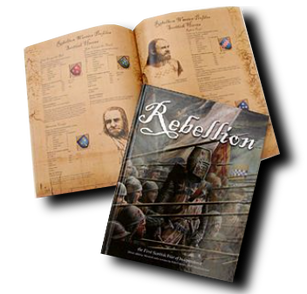 Welcome to the Rules and downloads page, here you will find rule books for sale both as actual printed books you can touch and pdf downloads. There's also some free stuff you can download, enjoy. 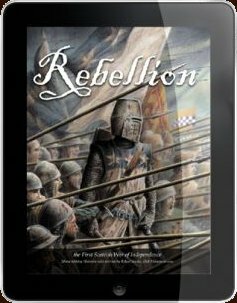 Rules for playing medieval warfare - Set in the 13th Century, the Scottish War of Independence. 108 full colour illustrated rule book, inlcuding army lists, hero and warrior profiles and battle scenarios. The book is available both hardback and paperback. The hardback is slightly more expensive due to printing costs, there is otherwise no difference in the content between the two versions. Printed on demand from Lulu.com - UK customers should expect to wait no more than 5 days. The book is emailed in electronic format as a PDF file. Ideal for viewing on ipad/ipod etc. This product is emailed in electronic format (Adobe Acrobat)Acrobat Reader is required to open the file. Tabletop rules for playing 'The Great Escape', draft copy only, unsupported, free download, enjoy. draft copy only, unsupported, free download, enjoy.